Bride Courtney and her bridal party getting ready for her wedding day. Her reception had wonderful sea views all around at the Stage Neck Inn in York, Maine. Her wedding dress hung in the window next to her bridesmaids dresses with the sun shinning though. 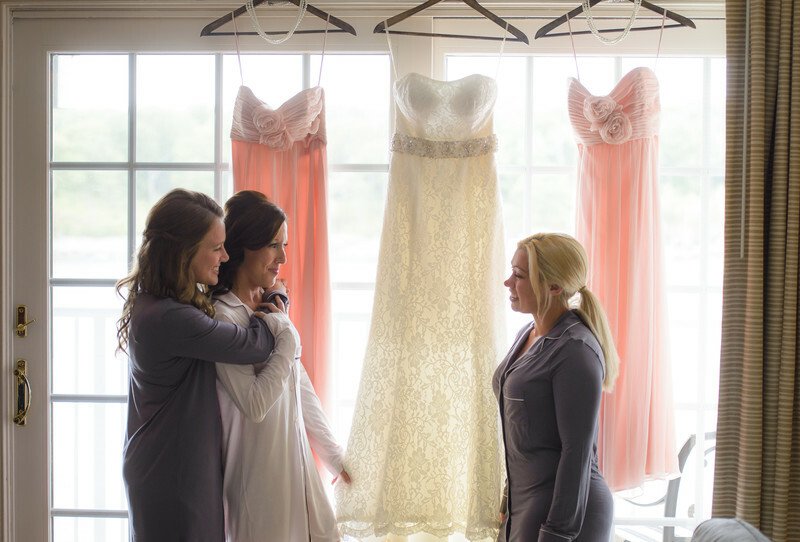 The rooms make a nice backdrop to any bride getting ready for her big day. The ballroom downstairs and the property grounds are equally beautiful with coastal almost 360 coastal views. Maine is a perfect place to have a seaside wedding. Location: Stage Neck Inn, York, Maine.